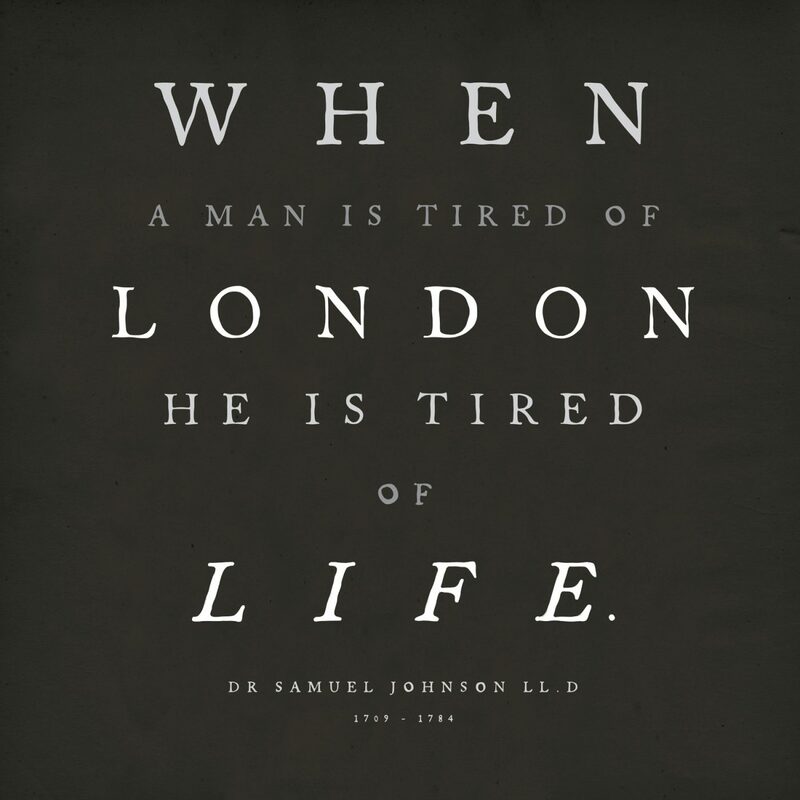 Dr Johnson. Six-foot tall, poor, somewhat disfigured and potentially suffering from Tourettes…. 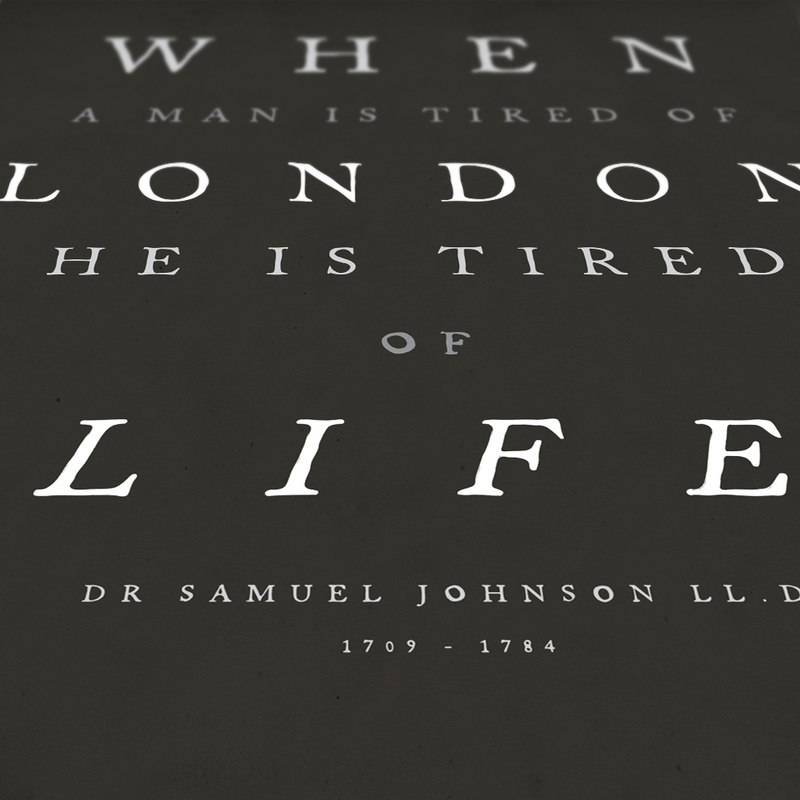 Samuel Johnson overcame some crazy obstacles to become a sensation as a man of wit and wisdom. His master opus was creating the great English Dictionary, but this man of letters was notorious for firing the kind of pithy one-liners most satirists would give their acid tongue for. 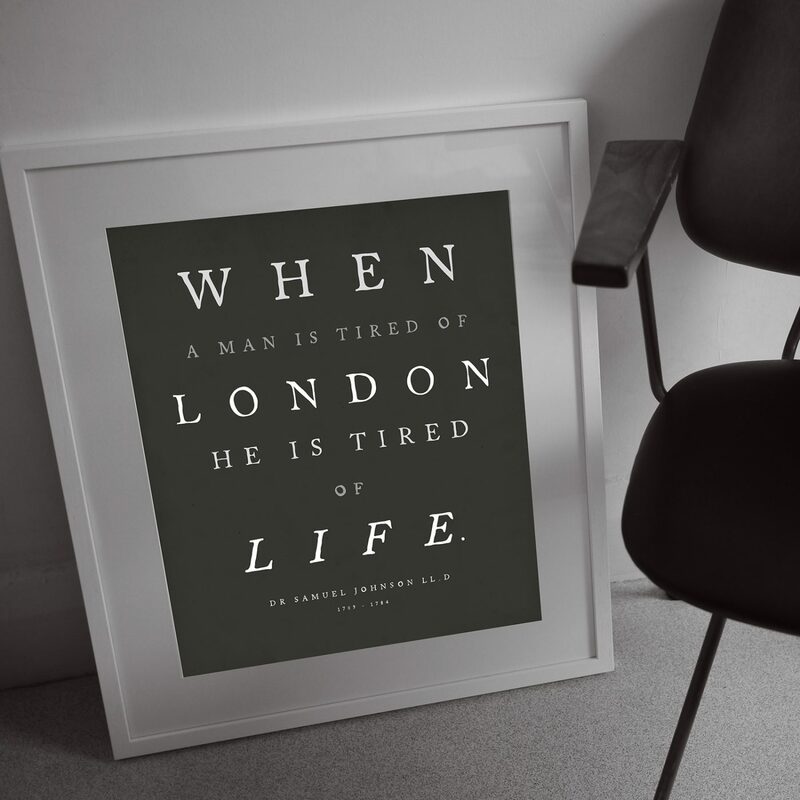 This piece, featuring one of his most famous quotes, has been crafted in the style of those early editions of the Dictionary. 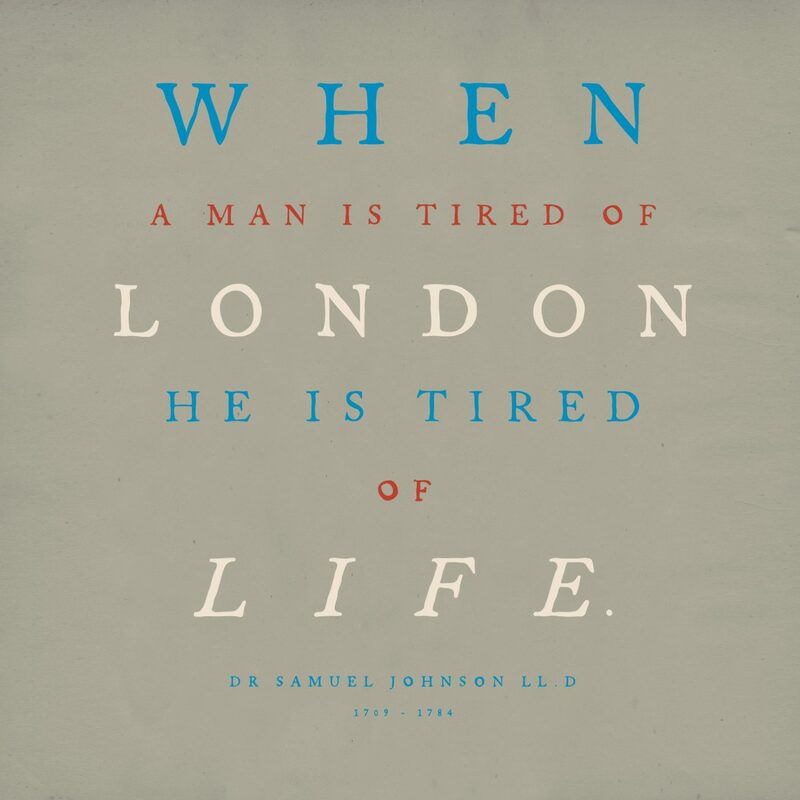 Londoners are passionate about their city, and Samuel was no different. 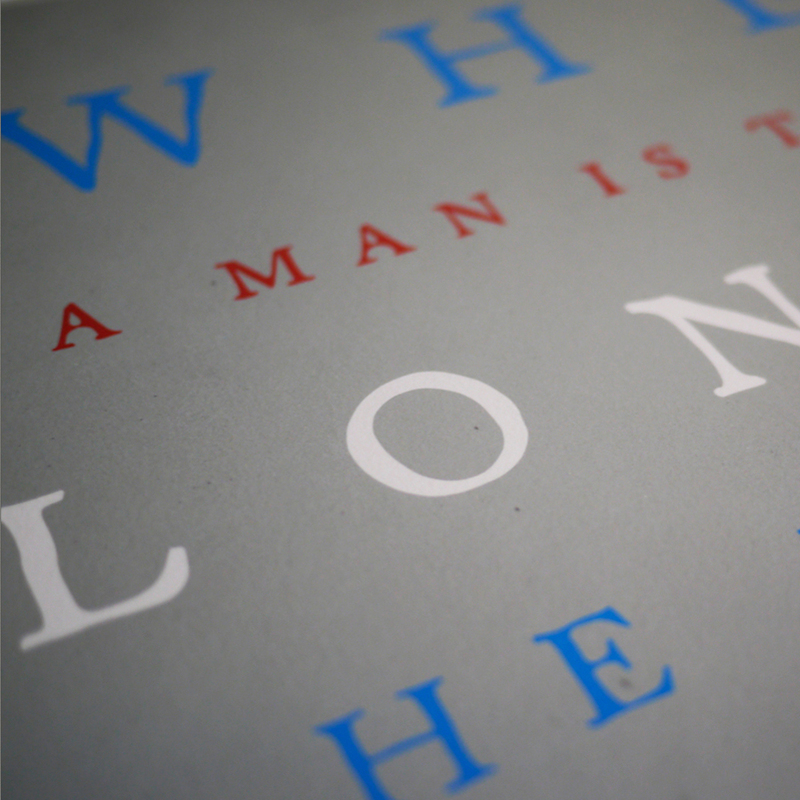 A limited edition of 100. 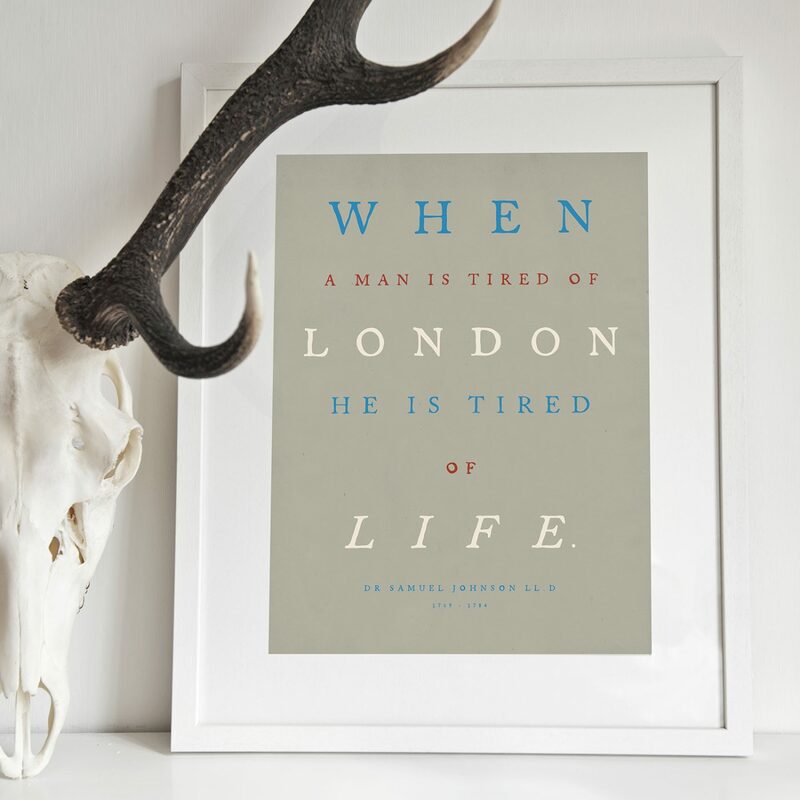 Available in two colourways, Brittanica and Charcoal. 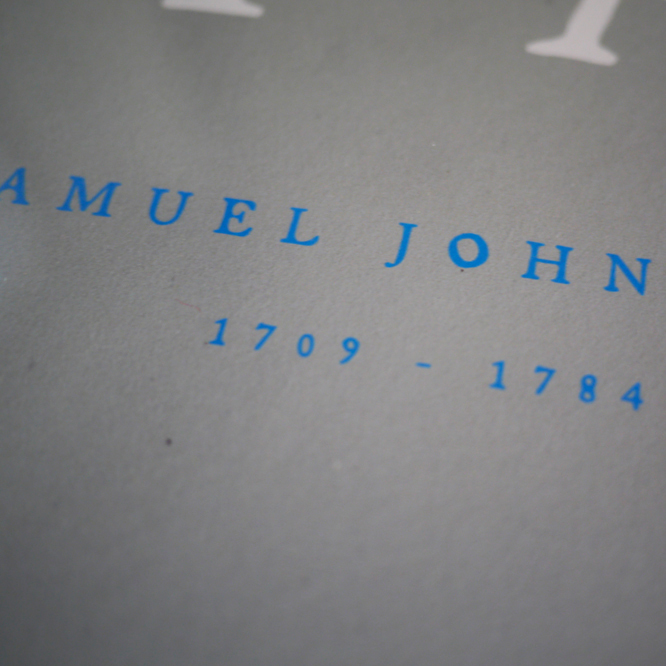 Exquisite quality giclée print on 315gsm fine art paper.